10x10 trade show booth rentals are the staple of the convention industry. 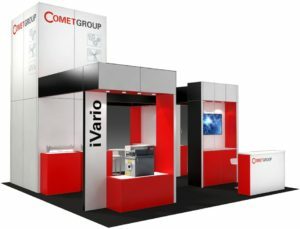 View our gallery of 10x10 trade show exhibit rentals and custom designs. Our 20x30 exhibits are ones that pride ourselves in. These booth spaces have a lot of room for unique and personalized design. 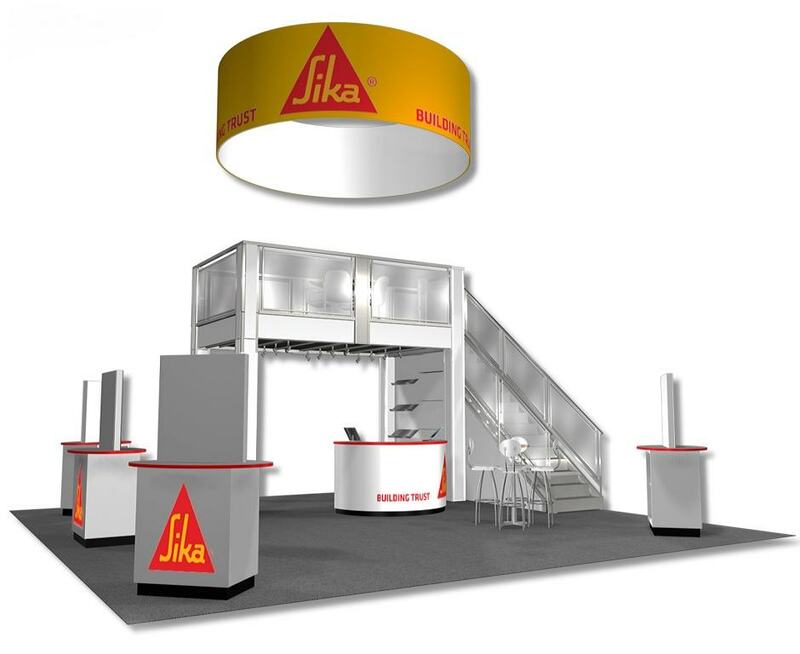 Start here by viewing some booth design examples in our gallery. 10x20 trade show displays provide an opportunity for large graphic backdrops. Browse some of our exhibit options to get an idea of some of the designs we have done in the past. Personalize them by adding different elements with our flexible design. 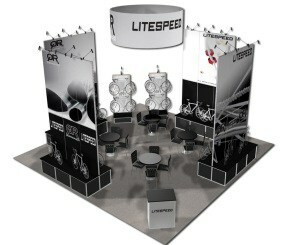 30x30 trade show booths can take your brand to the next level at your event. These space give a lot more room for you to show off and to fit more traffic in your booth at one time. This creates a more inviting feel while stealing the show. 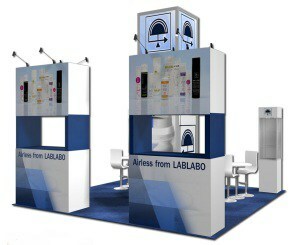 20x20 trade show layouts are the beginning of the more flexibile booth space sizes. Get creative and build a space that trade show attendees won't forget, and one that exhibitors will envy. 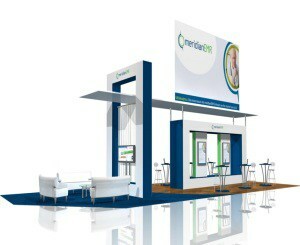 Did we mention we can do any size trade show booth? These mammoths are what we are most proud of. Contact us about specific design examples for your booth, because these spaces can have a lot of features. We have the highest retention among large booth clients due to our unmatched support, design, and services. Los Angeles Exhibit Rentals believes in creating a brand experience that tells a story. For our clients, we take time help them develop goals and understand their exhibit's purpose. We provide trade show rentals in Los Angeles and around the country. 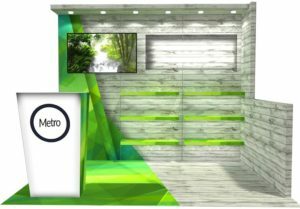 For custom trade show booths, please use this link to visit our parent company, Metro Exhibits. Our top-notch service and trade show rental equipment and products were hand-picked and strategically made to create a simple and beautiful design with full customization at a low cost. We are a trade show company that offers white glove service and provides the best in exhibitor support. 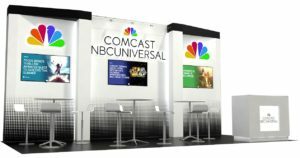 Our trade show booth rentals and custom design renderings are free, and all of our booth customers receive a dedicated project manager with their display. Every booth is different, so our services adapt accordingly. We suggest clients reach out as early as possible. This gives us the time and opportunity to provide you with the best services possible. We also have different locations for booth rentals - Las Vegas, Orlando, NY, and our parent company Metro Exhibits for rental trade show exhibits and custom trade show exhibits.